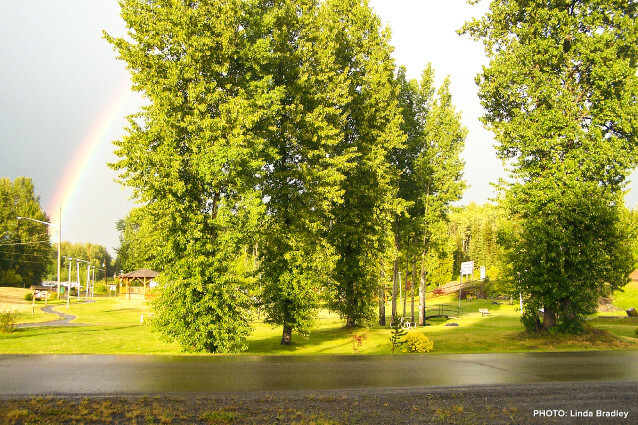 Situated amidst a majestic landscape, dominated by the 3000 ft. walls of the rugged Rocher de Boule Mountain Range, the Robbers Roost Motel is the ideal stop off the Yellowhead Highway for visitors traveling between Prince George and Prince Rupert. The Hazeltons offer an unsurpassed combination of hospitality, attractions, scenery, wilderness recreation, unique Native culture, and trophy salmon and steelhead fishing, all convenient to the communities and their array of visitor services. So many reasons to come, so many reasons to stay! Robber’s Roost is also the last stop before the northbound turnoff of the Cassiar Highway (Highway 37) towards the Alaska and Yukon borders, or the first stop coming from that direction.